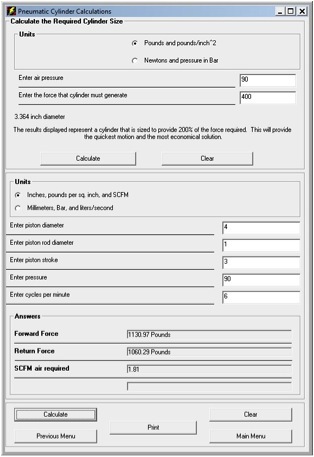 Calculate the correct piston bore size for your application. Calculate the SCFM of air required for operation. Get the answers as fast as you can type.